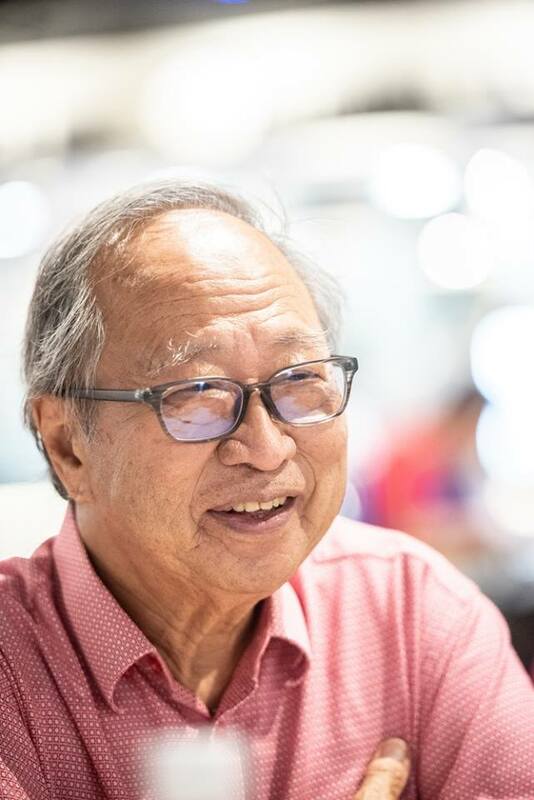 Ex-presidential candidate Dr Tan Cheng Bock announced his retirement from medicine back in Jan, with a cryptic message about a potential return to politics. Well, guess who’s back in no time at all? 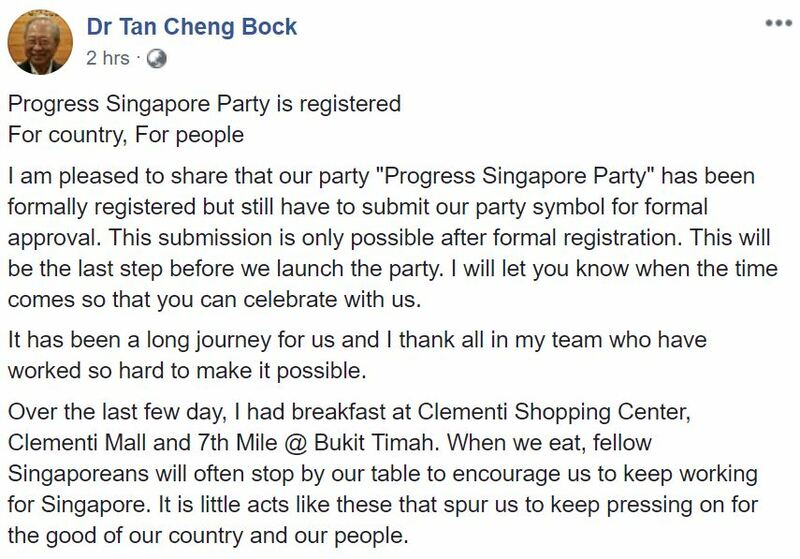 Dr Tan announced his triumphant return to the local political scene in a Facebook post on Monday (1 Apr). It’s official, and his party has been registered. 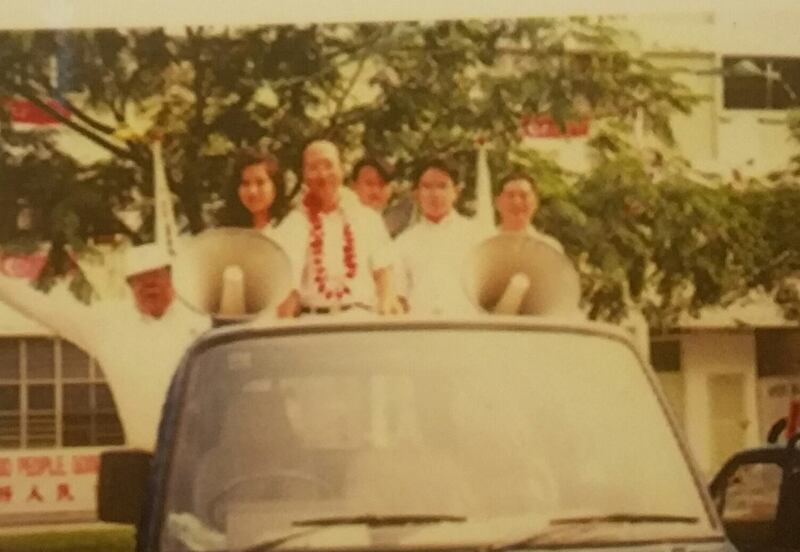 Just like Lim Tean, his new party comprises of 12 “concerned Singaporeans”. 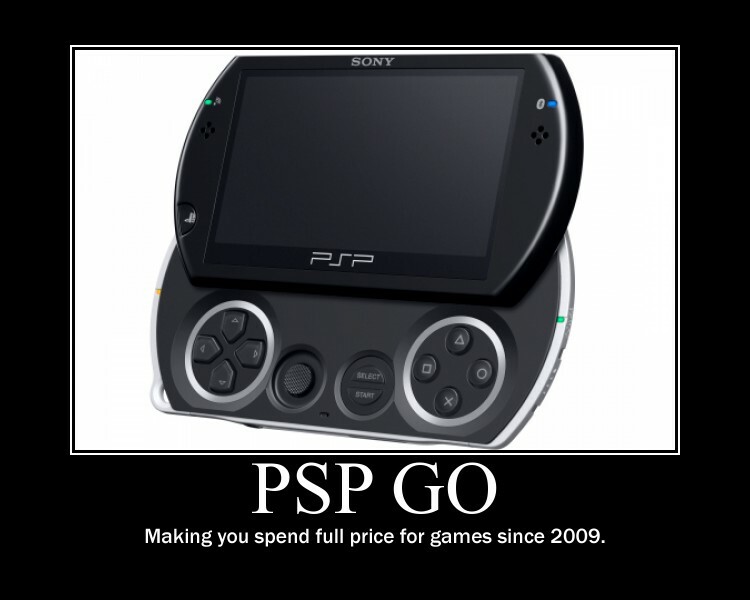 Some of them are known to be “ex-PAP members”. 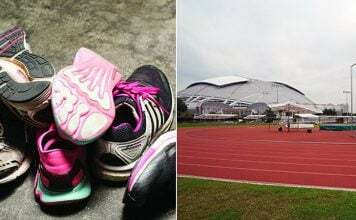 The newly minted party hopes to honestly reflect the concerns of everyday Singaporeans in Parliament. 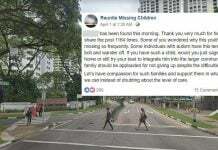 Led by 78-year-old Dr Tan, they hope to address problems faced by locals, after walking the ground and “hearing their fears and feeling their pain”. Emboldened with a “sense of duty”, they’ll be stepping forward to represent these citizens as they aim to win a seat in Parliament. This will be Dr Tan’s first return to politics in 13 years, since he was an MP with PAP in 2006. 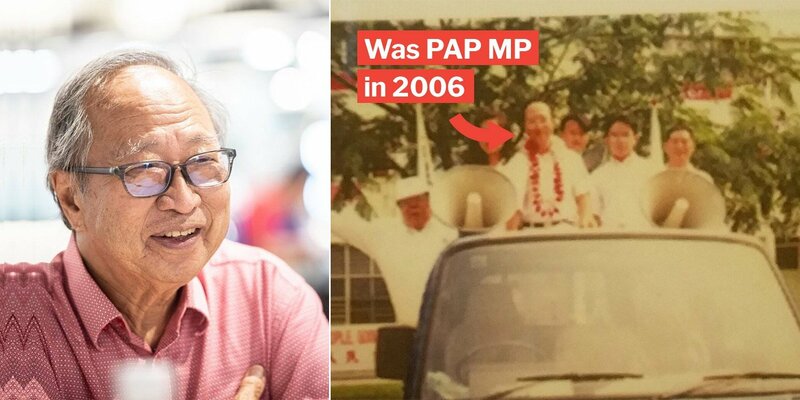 Dr Tan Cheng Bock shares that he considered many other options to make a return to politics. These include joining an opposition party, taking the reigns at one, or becoming an independent candidate. He eventually felt that creating his own party was the right way forward. Dr Tan thinks his older age of 78 will spur him to make the most of his time left to mentor young blood in the scene. 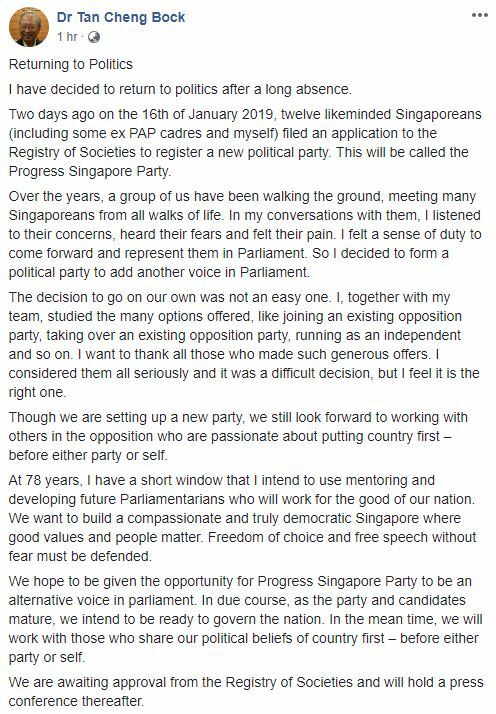 Finally, he hopes that his party will continue to work for the “good of our nation”, and help build a “compassionate and truly democratic Singapore”. Dr Tan’s contributions to our medical scene, and his sincere efforts at helping Singaporeans from all walks of life have garnered him many loyal supporters. We hope that his popularity will translate into poll numbers as he embarks on the next leg of his political adventure with his new party. Hopefully, his party’s application will be approved soon. We wish Dr Tan all the best in his future endeavours. 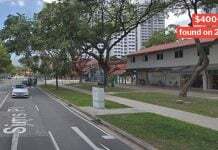 Featured image from Tan Cheng Bock on Facebook and Facebook.